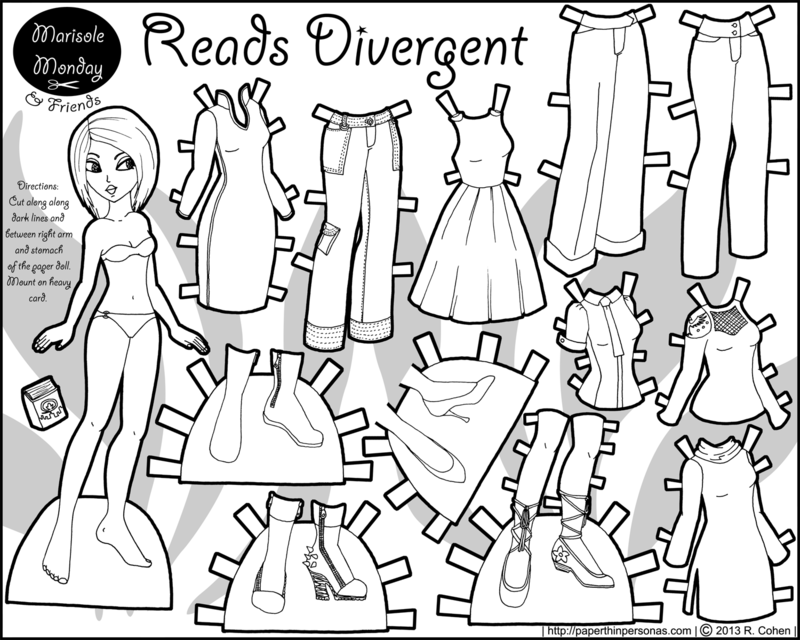 Divergent is a totally great book and I love the paper doll, but I thought the abnegation propel wore robes. Doesn’t it say something about that in the book? I did note that the Abnegation people wore robes, but I decided to use the description early in the book of Beatrice tripping over her long grey trousers for my paper doll design. I’m glad you guys liked that paper doll and the book. OMG! I love this paper doll! She has a lovely style! I love the blue high heels! 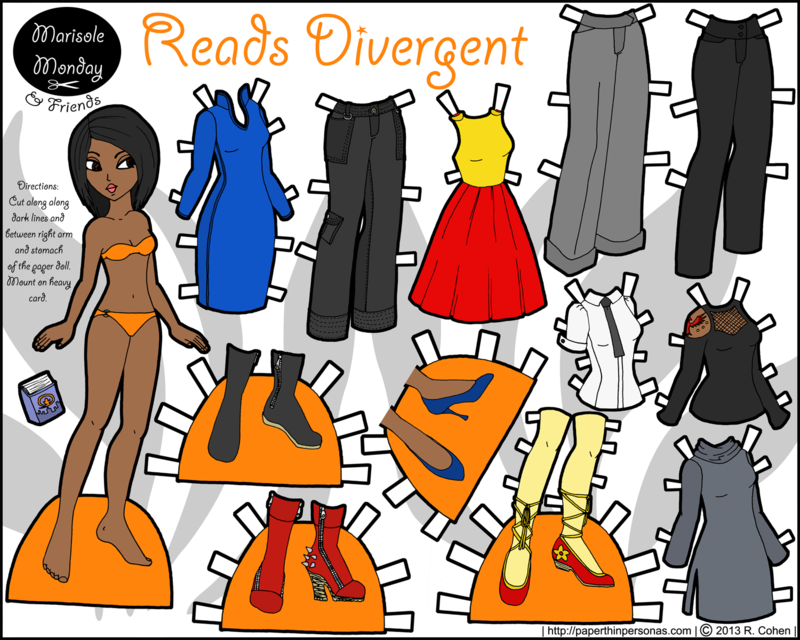 I’m glad to see there are others who enjoy and miss the simplicity of paper dolls. Love them!